You are here: Home / Beads, Beads and More Beads! Oh yeah baby! Here’s the good stuff! 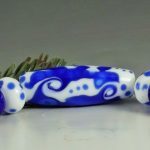 3/32″ hole beads! 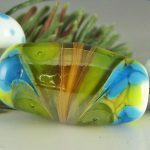 “Pulled Lime Speckles Trio” 3 bead set! Oh boy the reactions with this focal are da bomb! 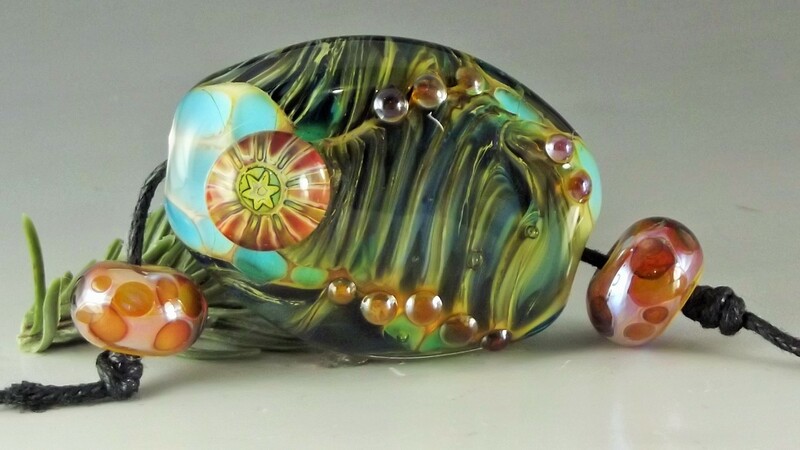 Pops of bright turquoise set off this nifty focal, 0.93″L x 0.51″W. 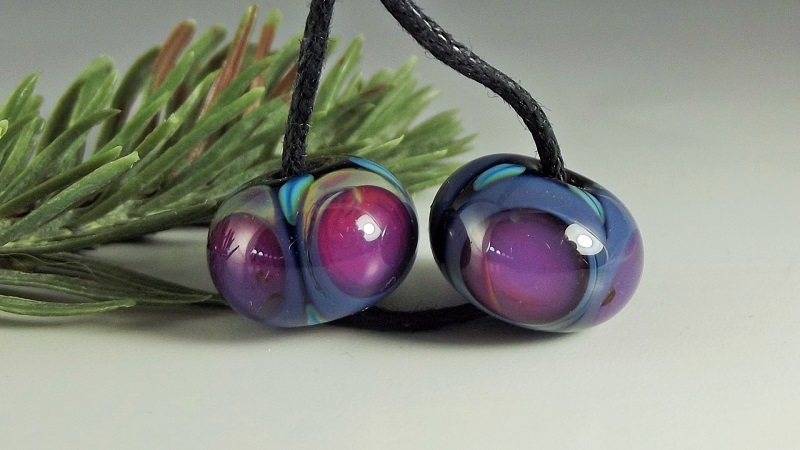 3 bead set includes 2 speckled sidekicks and all 3 beads have 3/32″ holes. 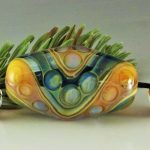 “Carved Peaches Trio” 3 bead set! 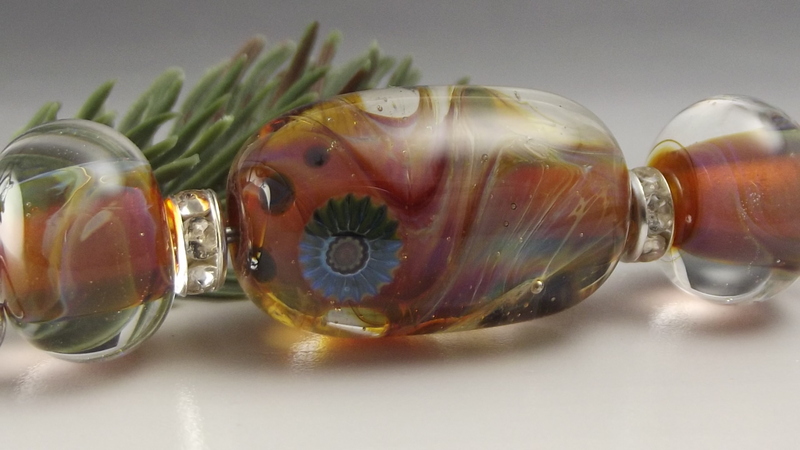 Rich lush colors almost glow from the amazing silver glass under the clear encasing! Focal is framed by 2 matching metallic sidekicks! Gorgeous focal is 1.62″L x 0.58″W. 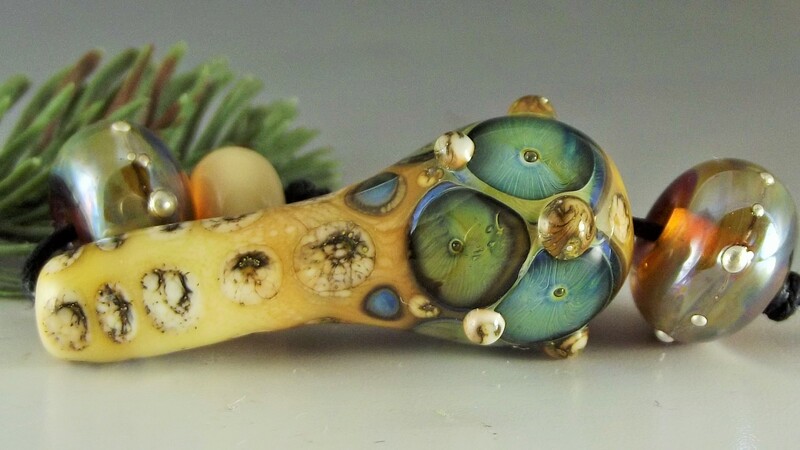 All 3 beads have 3/32″ holes. 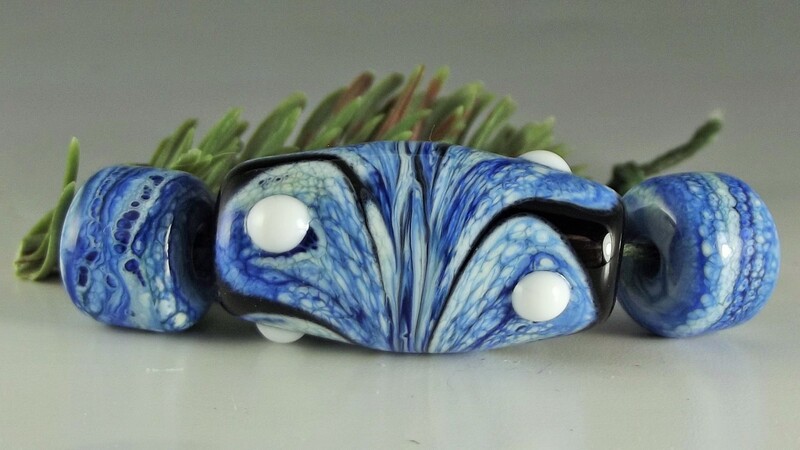 “Crisp Blue White Stunner 7” 7 bead set! Crisp white and lush blue add up to spectacular! Tube focal is 1.51″L x 0.51″W. 7 bead set includes 3 pairs of matching sidekicks! 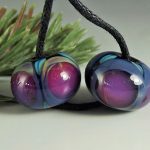 “Pairs Fabola” 2 bead set! Fun silver glass pops with color and shine! Beads are perfect for earrings and measure 0.33″L x 0.51″W x 3/32″ holes. 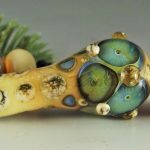 Rich pools of tropical sea water float over this creamy cracked ivory focal bead with raised golden pips! Focal is 1.52″L x 0.59″W”. 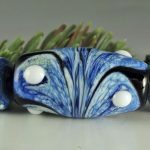 4 bead set includes 2 amazing wire hugged silver glass sidekicks plus a sweet ivory accent bead! 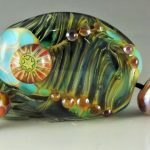 All 4 beads have 3/32″ holes. 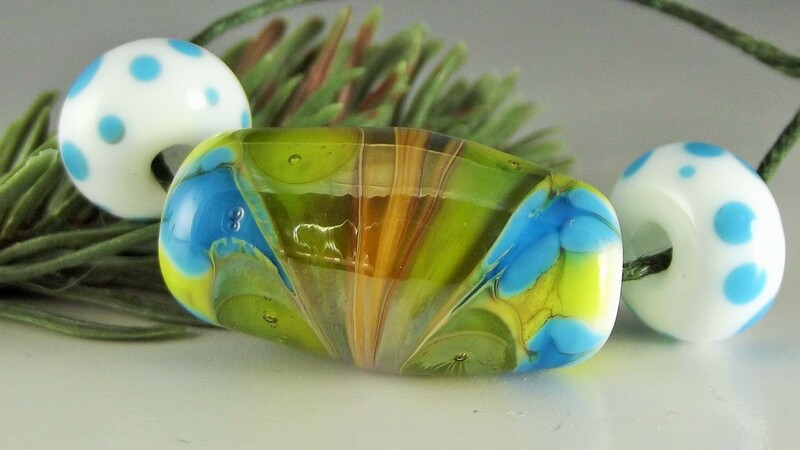 Perfect for earrings, these beads start with a juicy chartreuse base and have clear flattened dots for sass and sparkle!! Beads are 0.38″L x 0.60″W x 3/32″ holes. Love the combo this ended up as! 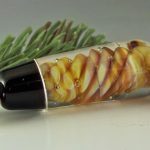 Sometimes (ok always) silver glass has a mind of its own and the final results a delight (or a big downer!) Bicone focal is 1.07″L x 0.61″W and is framed by 2 amazing silver glass clear encased sidekicks! Awesome colors and crazy organic reactions plus 2 nifty squared sidekicks! Focal is 1.10″L x 0.57″W and all 3 beads have 3/32″ holes. 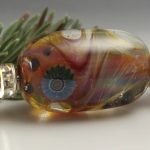 Really love the ethereal floating colors twisting below, while the 2 gorgeous silver glass murrini wink at you from above! 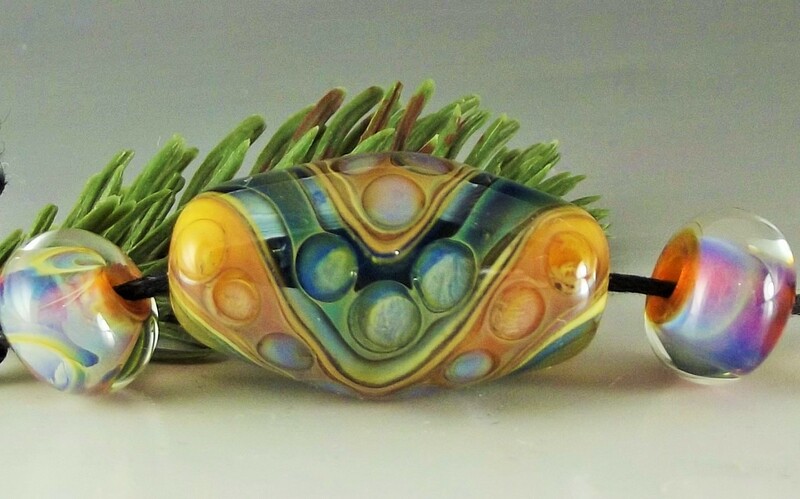 3 bead set includes 2 equally pretty sidekicks made with silver glass cores, and deeply encased for depth and shine! Focal is 0.95″L x 0.60″W and all 3 beads have 3/32″ holes. Oh la la! Crazy fun reactions are accented by the raised golden dots and gorgeous silver glass murrini! Focal is 1.38″L x 1.03″W. 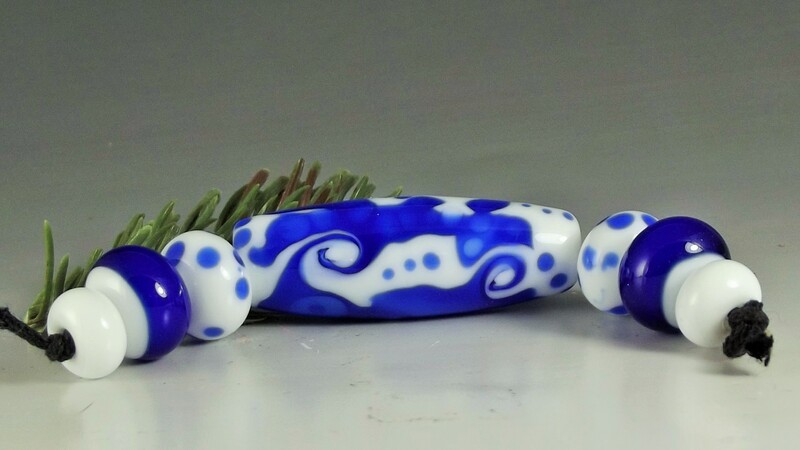 3 bead set includes 2 sweet silver glass spotted sidekicks! Want more fabulous beads? 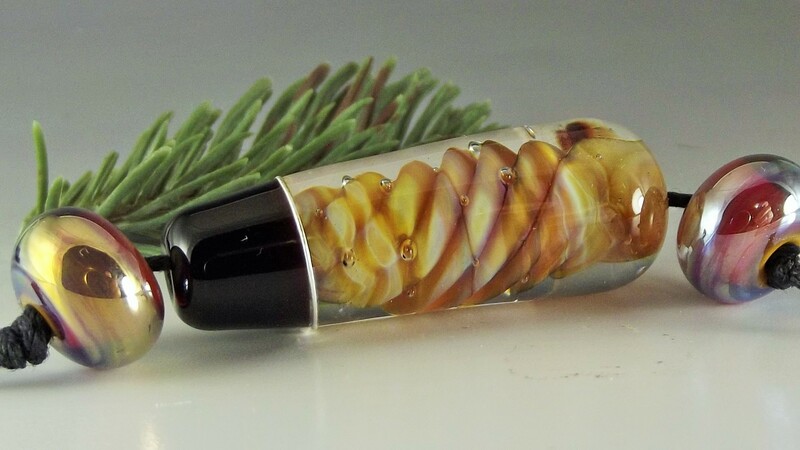 Have a special color combo in mind for a custom design?